Thank you for the overwhelming response! Registration to attend is now closed. Please no walk-ins due to limited capacity. The Sonoma County Winegrowers is presenting an informational meeting on vineyard water conservation research findings and methods taking place in Alexander Valley. 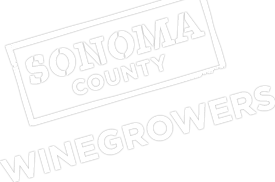 The information presented is from Western SARE Grant research projects currently managed by the Sonoma County Winegrape Commission in conjunction with Rhonda Smith, UCCE Viticulture Farm Advisor, Mark Greenspan of Advanced Viticulture, and Tom Gore of CWUS/Simi Winery. David Huebel of Hafner Vineyard and Pam Jeane of the Sonoma County Water Agency are also participating. For more information contact Karen at 707-522-5862 or [email protected].